There is no application required to participate in the Guild competition reimbursement and/or group shipment — participants must be a Maine Cheese Guild member in good standing for the time period between the competition entry and the competition itself. Instructions on participating will be posted in a separate Guild web site article. All applicants must be a Maine Cheese Guild member in good standing for the time period between the request for consideration and the conference itself. The Guild Board will then vote on who will be awarded each stipend, and the selections will be announced by mid-May to allow the designated members time to make their arrangements, including to register for the conference before the Early-Bird deadline. As has been the case in the past, recipients of stipends to attend the ACS conference will be asked to contribute materials of interest to the Guild at large based on the information delivered at the conference. This material will then be posted on the web site and/or published in a future issue of the Guild newsletter. 1. Please provide short paragraph with a description about your personal history, including why you got into cheese making, what are your cheese making goals (eg: where would you like to see your cheese adventure take you), and how will you use an ACS membership to benefit your cheese making? Email your application to info@mainecheeseguild.com/MCG-build together with the title “ACS MEMBERSHIP”, your name, the name of your cheese operation, your email address, and your physical address BY SUNDAY MAY 5th. 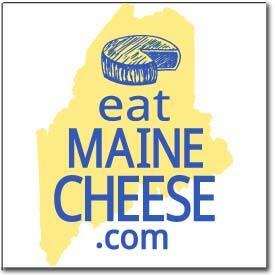 The Maine Cheese Guild board will review all applications (unless they are also an applicant) and vote for their choice. You will be notified before SUNDAY, MAY 12th if you have been chosen. 1. Please provide short paragraph with a description about your personal history, including why you got into cheese making, and what are your cheese making goals (eg: where would you like to see your cheese adventure take you)? 2. Why is attending the ACS conference important to you? 3. What three items in the 2013 Conference Agenda interest you the most? 4. How do you plan to share the experience with the Guild? Email your application to info@mainecheeseguild.com/MCG-build together with the title “ACS SCHOLARSHIP”, your name, the name of your cheese operation, your email address, and your physical address BY SUNDAY MAY 5th. The Maine Cheese Guild board will review all applications (unless they are also an applicant) and vote for their choice. You will be notified before SUNDAY, MAY 12th if you have been chosen. Posted in Guild, Learning, News and tagged ACS, scholarships.